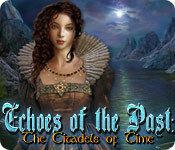 Echoes of the Past: The Citadels of Time is rated 4.5 out of 5 by 142. Rated 5 out of 5 by jewel_43 from totally deserves 5 star rating! I thought 'Castle of Shadows' was money well-spent....if anything this was even better! The storyline was interesting and graphics though a tad on the darker side were truly great. The game was very long and had so many twists and turns and new areas to explore that each time I thought I was nearing the end of the game I discovered yet another hidden doorway! While not at all intrusive the music in the game was pleasant background music and wove itself into the scene. The only thing I didn't like were the challenging (for the most part anyway) mini-games so I did use the skip button on some of these. On the whole however this was an excellent game and well worth the money.. Rated 5 out of 5 by cybersauced from Echoes of the Past: The Citadels of Time ~ Hours of Fun Took me over 6 hours to complete the game. Great graphics and music. So much to do and not a lot of going back and forth. Puzzles are on the easy side all the way to hard, but doable. A few "to complete items" to be used else where were new to me. I liked that. The story was different and though complete, left room for a sequel. 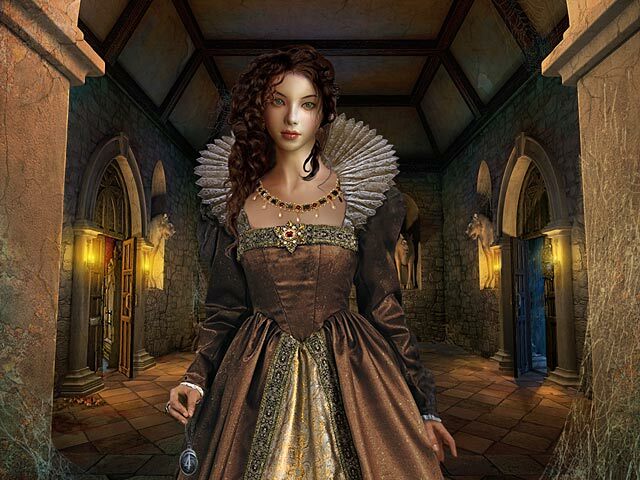 Rated 5 out of 5 by Eyereen from Finding time in the citadels This is quite a lengthy little gem of a game, it keeps you occupied with a good amount of challenge. My brain and I had a superb time solving the puzzles whilst enjoying the visuals. Rated 5 out of 5 by scienceisfun from Favorite of the series I've played all of the games in this series, and truly loved this one the best! It's not a mundane HOS every time, and I like that you have to go back and forth from scene to scene in order to find where objects can be used. This games was longer than many, and I have played it over and over again. Play the demo and you know what to expect. Rated 5 out of 5 by Swordtail from Wonderful Game This is my favorite style of game, and I really enjoyed this one. The puzzles were just hard enough to keep me from getting bored, but not so hard as to make me feel the need to use a hint. The the puzzles were varied and well designed. While I'm not a huge fan of the overdone witch / time travel story line I found the story flowed well and didn't get in the way of my puzzle addiction. The graphics and sound was good with minor annoyances. They game could easily be played muted. I would happily purchase more games of this style and quality. Rated 5 out of 5 by toddalan1 from Great Game!! This game was beautiful in every way. My only problem with it was some of the puzzles were just too time consuming and or difficult, and had to be skipped. (which I HATE to do) I really did enjoy this game though, with it's STUNNING graphics. The hidden object portions were really interesting too. Rated 5 out of 5 by Abelarde from Wow! Creative, Clever, esp HOS This mystical story line about finding the missing pieces to a clock doesn't sound too original, but the clever twists and turns keep your brain cells on alert. For instance, when I finally found the knife to cut the ropes around a chest (sound familiar) and went to use it, the knife was too dull. Huh? Wasn't expecting that. A few scenes later I came across a hidden spinning stone and sure enough, it sharpened the knife. Voila. The HOS are also creative, having to pair together items to create the object: for instance, "herbs" were made by moving a bunch of leaves over to the mortar and pistle in a corner. And my fave is when the items are separate and you have to find where they go in the picture: e.g., the bread goes in the toaster hidden behind a bowl. It's been awhile since a game held my interest like this one did. I liked the storyline of Dark Parables but couldn't take all the HOS where you mindlessly just click on metal pieces without even looking at what you are making. Thumbs up for this one! 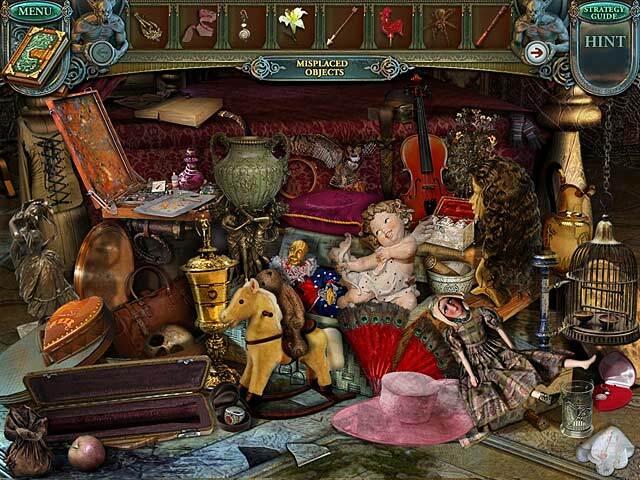 Rated 5 out of 5 by Einav_K from Best Hidden objects game ever! The most beautifully detailed game I have ever played. 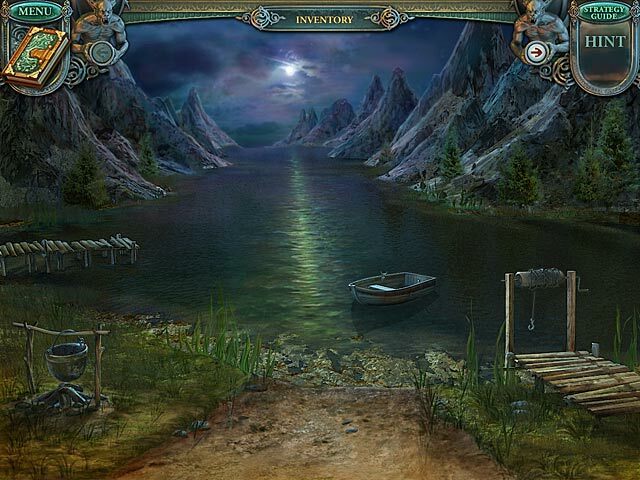 Endless scenes, challenges and the most hidden objects mini games then any other game. Great memory challenge, in order to solve the game you need to go back and forth btw the scenes. This game feels as if you have been taken seriously by the game designers! Travel from the Dark Middle Ages to the present to save the inhabitants of the Orion kingdom in Echoes of the Past - The Citadels of Time!